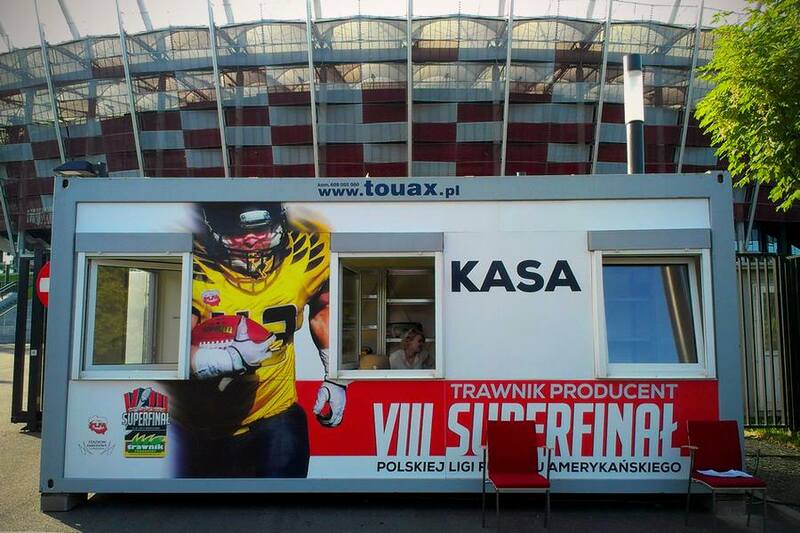 TDEU's rep Wojciech will be at the Polish SuperFinal VIII, reporting from the game! Now, before that, he wrote a great preview of the two teams! 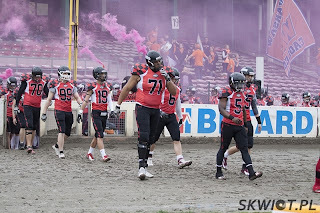 Firstly, few words on the semi-finals, they were much more one-sided games than expected mainly due to injuries to key players from Devils Wroclaw –WR’s Dawid Tarczyński and Grzegorz Mazur and Seahawks Gdynia QB Ferni Garza. 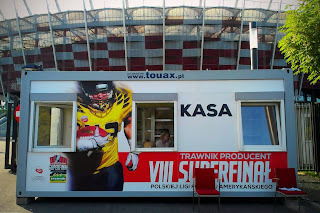 Nevertheless we need to give kuddos to Giants and Eagles for executing their respective game-plans and capturing the chance to play in the SuperFinal VIII. Both finalists are using the same formula for success - built around tough defense and solid running game.The main difference between the teams is off the field the Eagles are like multinational corporation, while Giants are the band of brothers - actually you have four pairs of brothers on the team. Let’s do a positional breakdown of key battles in the SuperFinalVIII. Both are efficient game-managers, who surprisingly aren’t the centerpieces of their team’s offenses. Bartosz Dziedzic is an alumni of the flag football program run by The Crew – the predecessor of the Giants. In his second season of tackle football he has enjoyed much success navigating the Giants to the Final. Blessed with strong OL and Jamal Schulters at RB he isn’t asked to pull rabbits out of the hat to make his team win. The question remains can he perform on key 3rd and long situations, in the Semi-Final against Seahawks the G-men relied on wildcat formation with Mark Philmore as QB. Credits to Mott Gaymon and Jacek Szuszkiewicz for capitalizing on strengths while covering the weaknesses of their young and talented player. 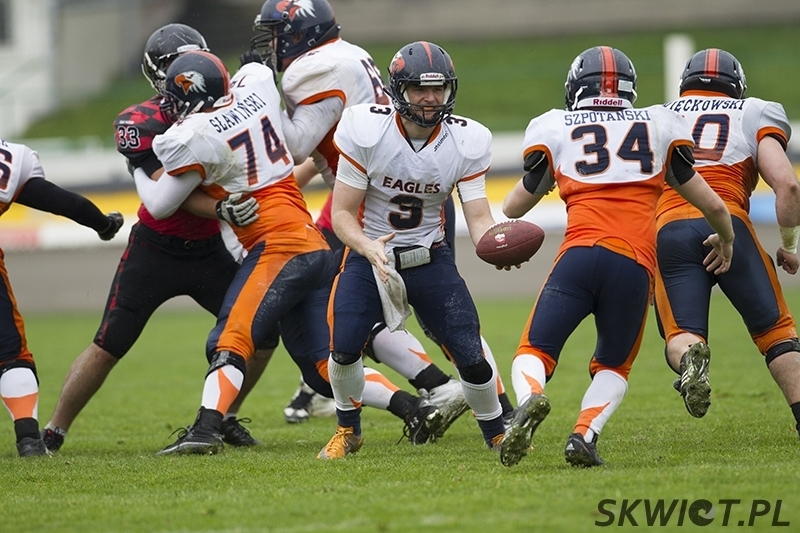 Shane Gimzo is one of the most doubted and criticized import players this season, his interceptions and lack of chemistry with polish receivers, especially in the early part of the season - forced the Eagles to stay on the ground. 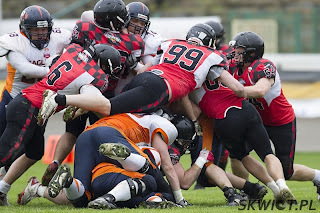 Yet Gimzo answered when the WE needed it most – trailing by 5 in Gdynia, Shane engineered “the drive” finishing with a dive into the end zone with zeros on the clock. In the semi against the Devils he played arguably the best game of the year, controlling the clock and his 70 yds strike to Clarence Anderson on 3rd and 20 deep in WE territory with less than 2 minutes to go in the first half was a dagger in the heart of the Devils. Verdict: As much as I’d love to see a young polish QB making an early Tom Brady kind of story, my mind tells me that it most likely be Shane Gimzo who will have the last laugh. Advantage Eagles. Giant’s Jamal Schulters is the ultimate offensive weapon he put a huge cherry on his 25+ TD regular season cake with a 5 TD game against Seahawks. It’s safe to say that if you want to beat the Giants you have to stop Schulters – so far only one team in one game could limit him to 33 yds on 16 carries – yup it was the Eagles. Khiry Battle and Mark Philmore will do some part-time job here. When it comes to RB’s the Eagles represent “collect them all” approach. Quintet of Witold Szpotański, Piotr Osuchowski, Dawid Więckowski, Michał Kozdrój and Jakub Juszczak can be a destructive force capable of tiring even the toughest defense and controlling the clock. Verdict: If Gimzo has the edge over Dziedzic than Schulters beats the “Fab Five”. Eagles limited him partly due to the poor field condition – this time the roof will be closed, the filed will be immaculate and I expect Jamal Schulters to put a finishing touch on his MVP campaign. Advantage Giants. The success of running game is impossible without the help of their offensive lines and both teams have impressive athletes in the trenche. Left Tackle Babatunte Aiyegbusi leads Giants unit with the help of Michał Górnik, Krzysztof Konieczny, Michał Konarski, Maciej Włodarczyk. They are the “culprits” responsible for Schulters numbers. The matchup against Eagles DL was without the question the toughest for them – in the regular season game GW produced less than 100yds of total offense. It may sound as one of the all-time football clichés but the team that can dominate the LOS will most likely win the SFVIII. The Eagles OL doesn’t have any household names but surely they have earned much respect , the work of Coach Tom Wesołowski seems to pay dividends. Łukasz Kustra,Łukasz Pietrzak, Mateusz Sławiński, Michał Pienczak – are probably the most physically gifted group in the league. Verdict: It’s close but I’ll take Giants OL – mainly because they are more experienced. As I stated few paragraphs above both teams revolve around their ground attack yet both have some weapons on the wings. Clarence Douglas Anderson III is the playmaker for WE mostly known for his impressive performance in the return game, but if Gimzo can find him they can do a lot of damage, Anderson played with a cast on his knee in the semi – so his health may be an issue. Among polish receivers Szymon Modzelewski and improving Krzysztof Stojak as well as veteran Jakub Zduń are the guys to look for. 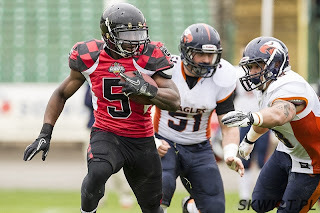 If Eagles have Anderson than Giants respond with Mark “MP3” Philmore II – this season was relatively quiet for the former MVP – still in the game vs Gdynia it was MP3 who moved the chains on key 3rd downs, this unit also helps in the running game with selfless cut blocking downfield. Tomasz Dziedzic – the brother of QB Bartosz , Patryk Matkowski and Mateusz Grzędziński may not get a lot of chances in this game however each of them has a potential to take it to the house . Verdict: Let’s call a tie here . 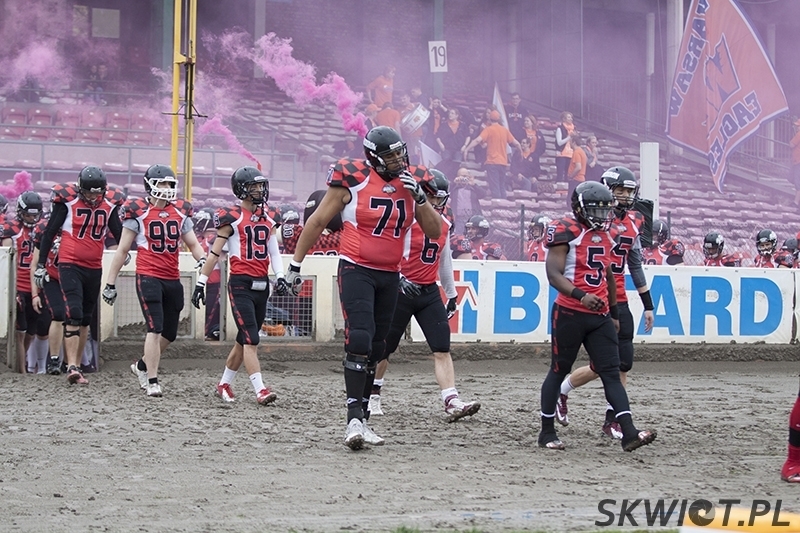 Batosz Zalejski, Bartosz Świątek, Adam Matryba and Robert Rosołek with a part-time appearance of Khiry Battle are a destructive force – over the course of the regular season the Giants defense has emerged as #1 in PLFA with fewest points allowed in the semi-final game the D-Line has shut down Seahawks running game. If the regular season 9-7 result is any indicator the performance from both front fours may be a key factor. Eagles have also a pretty dominant D-Line anchored by Tomasz Szczeszek and Krzysztof Dreger –arguably the best duo of interior DLinemen in Topliga. 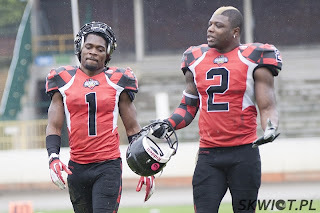 Outspoken off the field, they create havoc in the middle and both can stop the run as well as rush the passer. On the edge the young and athletic Konrad Paszkiewicz will try to generate pressure on Dziedzic, yet he will have to face the premiere Left Tackle in Ayiegbusi – can’t wait to see this match-up, LDE Wiktor Nowak is the last piece of this unit. Verdict: Another close one positionl battle – this time I’ll have to go with the Eagles – Dreger, Szczeszek and Paszkiewicz will get the job done. When you say Giants Wroclaw LB’s your first thought are Kamil and Mateusz Ruta - both athletic and fundamentally sound – make plays all over the field. Kamil is used more in the box, while you can find Mateusz more in the coverage – giving some hard times to the opposing WR’s. Khiry Battle is also vital component of the unit – he versatile enough to rush the QB from the edge as well as drop into coverage – he also gets some carries in the running game to share the load with Schulters. For Giants Paweł “Nasty” Świątek can be a solid contributor – after a regular season plagued by injuries - if healthy he is one of the hardest, fearless hitters in the league. Eagles LB corps has been bolstered this season by Marc - Avery Airhart Jan Cenkier is polish player to look for also Safety Caleb Singelton may come into the box and help on the run support. Veteran Maciej Traczyk will most likely be a starter if he can heal the injury that kept him sidelined during the semi-final. Verdict: Giants without a doubt. Giants Deante Battle has been rocking the fields of PLFA for few years with his shoot first ask questions hitting style, he also can do some damage in the return game. Łukasz Sutkowski, Krzysztof Tomczak have stepped up big time in the semi in Gdynia and I expect them to establish a no fly zone for the Eagles in the Giants defensive backfield. Mateusz Szefler has made a transition from promising RB to safety and he can help against Eagles potent running attack. Eagles DB’s consist of hard hitting Caleb Singleton, reliable vetetrans Dominik and Łukasz Koniusz, Szymon Pobudkiewicz supported by young upstart Antoni Omondi. Their job may be easier this time as Giants rely on quick passing game – however any missed or broken tackle in the open field can be costly. Verdict: I wanted to call a tie here, however Giants DB’s are more physical and bring better run support to the table so this one goes to the G-Men. Both teams have explosive returners, so I expect both punters to rather kick the ball out of bounds, even on kick-offs at the cost of field position than risking a ST TD. As for the kicking game - when last year WE signed K/P Brett Peddicord a lot of people were scrtatching their heads – signing a kicker in a soccer society? I’ll just say this, in this year regular season game Marcin Łojewski K/P for the Eagles missed three FG’s that would have sealed the upset win for Warsaw. He has been working with Coach Dan Miles to correct the early season mistakes. For Giants Mateusz Ruta is a punter and kicking game is shared between Dawid Pańczyszyn and Kamil Ruta. Pańczyszyn is another young, talented player, however I wouldn’t be surprised if Coach Mott Gaymon decided to roll the dices on 4th down. Verdict: It seems that this game will a low scoring contest, just as the SuperFinal VI it may come down a late game FG or the points left on the field on XP attempts. I have to call a tie here. Mott Gaymon of the WG is the most vocal Coach in the PLFA these days, the Topliga’s version of Mike Tomlin – leading his team to the big dance in his first year. Jacek Szuszkiewicz and Mark Philmore help on the offensive side of the ball. They will face experienced adversaries in Philip Dillon HC/DC of the Eagles, for whom the last year loss in the SFVII loss and eight TD on eight possesions by the Seahawks must have been a bitter pill to swallow. Dan Miles was brought onboard in the early part of the year is steady improving the offensive production and even if their style is not the prettiest one it is efficient and gets the W’s. Tom Wesołowski is developing the big boys of O-Line. Verdict: I think the Eagles staff is more experienced and that gives them a slight edge over the Giants. However Gaymon can make his players fired up and convince them leave their hearts on the field. 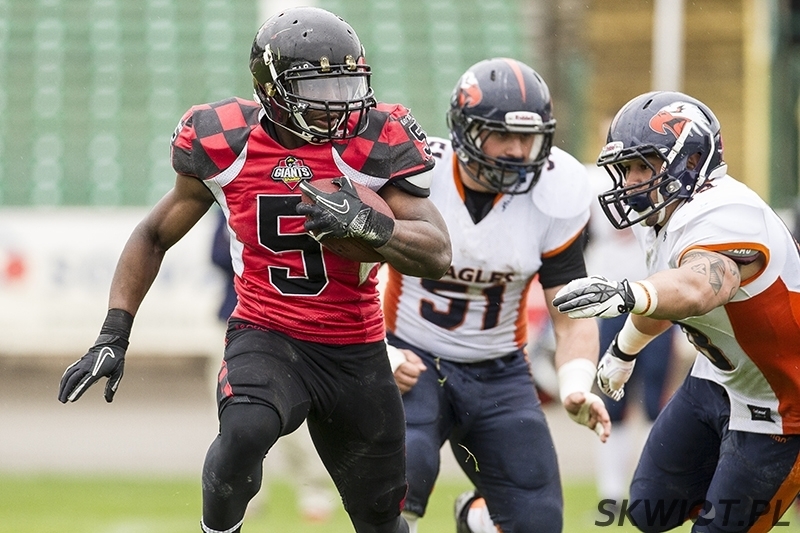 Both teams are playing with quite large chips on their shoulders, Eagles remember humbling loss to the Seahawks in last year’s SuperFinal VI, meanwhile the Giants after winning the league in 2011 have not been allowed to join Topliga and played in CLAF. Earlier this week the Coaching staff of Polish National Team announced the players selected for a training camp preparing for a friendly game against Dutch Lions, surprisingly some important contributors from both finalists have not been selected – so is there a better stage to prove that you’re worth it? National Stadium in Warsaw may affect the final result, the roof will be closed so weather conditions should not be a factor. Also the crowd noise can disturb the communication- during the EAC Game in September 2012 the headsets we used were useless. Eagles played there, so early in the game it may be in their favor, but as the game progresses Giants should feel more comfortable. “Orle Gniazdo – Eagles Nest” vs GiantsNation thanks to a better record the G-men are home-team and Eagles are guests. Eagles supporters are noisy – use drums and those horrible vuvuzelas - can we ban these from football games? GiantsNation will also provide a huge support for their team and in my opinion the fans from other teams will rather support Giants. The probable scenario for this game, it’ll be tough, physical, defense first ground and pound on offense – scoring in low twenties. There may be some occasional big plays in the passing game or on special teams. The final score may be decided late in 4th quarter – let us hope so. It’ll be a true War in Warsaw – keys for victory for both teams - stop the run - be physical at LOS - force 3rd and long passing situations - don’t leave points on the field – control the clock. Bunch of clichés you say but this year it’s all about the fundamentals, blocking, tackling executing. In the end Wrocław Giants will win 21-18.